I love weird stuff. Really. Bizarrods, Citroëns, and rare French cars really get me going in the morning..but NOTHING beats a good homage to the Stars...not celebrities, but Star Trek or Star Wars. And this next one is a dooooozy. 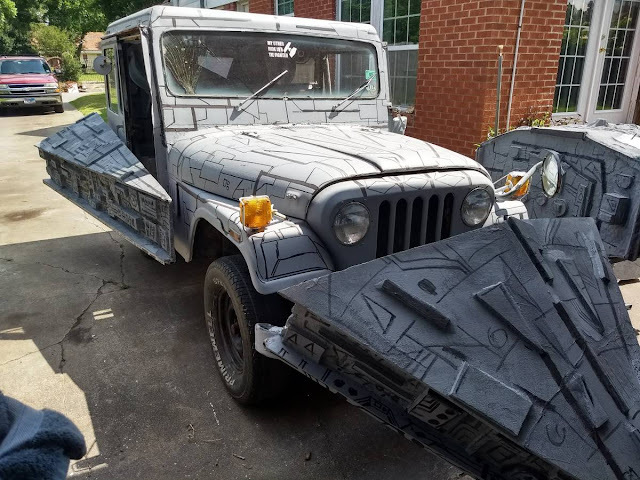 Find this 1984 Jeep DJ5 Star Destroyer offered for $1000 in Houston, TX via craigslist. Tip from Jeff. This old Jeep delivered the mail for the US not too long ago. Now it's delivering photon beams to the Rebels while simultaneously delivering smiles to the faces of children. 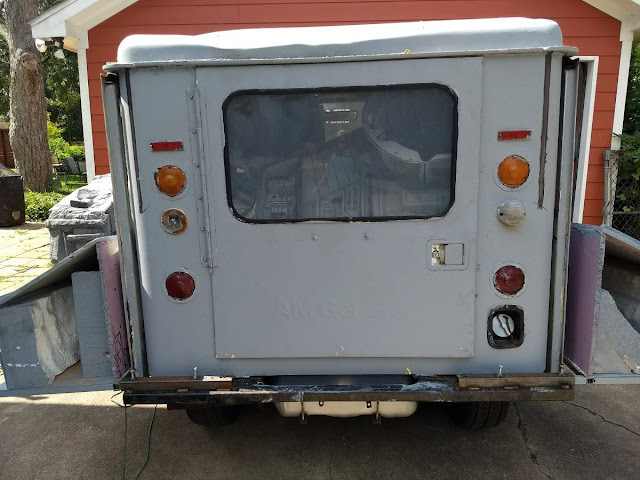 Rolls, starts, runs like crap. Bring a TRAILOR. Burns and leaks oil, leaks a little gas from fuel filler neck, original carb. WILL TRADE FOR GAS SCOOTER. No title, Bill of Sale only. Text anytime. LOL, leaking gas and oil. A death trap with no title. and it is right hand drive automatic, a perfect vehicle for? Before I noticed the cow catcher nose I was thinking that those are the funkiest testarosa fender flairs I had ever seen. I hear that the Dana rear axle on the dj5 makes an excellent replacement for the one on the Triumph TR3. Can’t think of anything else nice to say about it. LS swap. 6 speed. Retro fit A/C unit. Good to go. Super sleeper, make people go "What was that?" Saw a car with the license plate frame in Seattle yesterday - 'My other ride destroyed Alderan' - add that and this beast is complete.